A great piece in this week’s The Rugby Paper by Brendan Gallagher about Cornwall. He has a go at naming an all time Cornwall XV and by my reckoning his selection is a very good one. 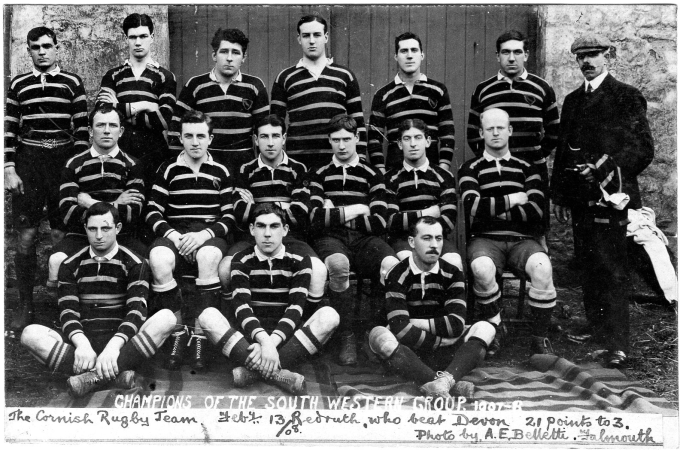 It’s hard not to name en-bloc the great 1908 team, whose place in Cornish Sporting History is ensured for ever more. This is my effort with four “contenders” covering each position. Should get people discussing as we build for next Saturday’s opening game in this season’s County Championship. No Barry Ninnes? How many other Cornish second rows could have held down a place in the all conquering Coventry team of the 60’s/70’s ….and played for England? Inevitable a player meriting inclusion would be left out, Ninnes was considered.